Lincoln Community Dispute Resolution is able to serve our community because of the commitment and skill of its volunteer mediators. Our mediators are lawyers, stay-at-home moms, social service workers, and retirees from all walks of life, who bring their varied life experiences to helping people resolve their disagreements. 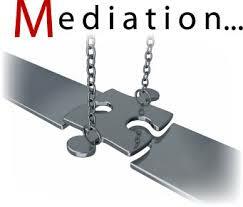 Our volunteer mediators are trained in basic and Court-related mediation and are mentored by experienced mediators. Each volunteer completes a 32-hour Basic Mediation Training that covers mediation theory, the stages of the mediation process, communication skills, and professional standards of conduct for mediators. Some volunteers take an additional six-hour Court-Connected Mediator Training in order to serve as mediators in Small Claims Court. Most of all, our volunteers are caring members of the community who are willing to devote their time and energy in the interests of resolving conflict peacefully. If you would like to find out more about volunteering or when the next LCDR Basic Mediation Training will be held, contact Patrick McGovern, Executive Director of Lincoln Community Dispute Resolution, at 541-574-9846. Welcome to Ralph Grutzmacher, LCDR’s newest volunteer mediator! Ralph will serve as one of our Court-appointed Small Claims mediators and his presence in Toledo will extend LCDR’s ability to provide mediators to East County. We are excited to have Ralph as part of the LCDR team!